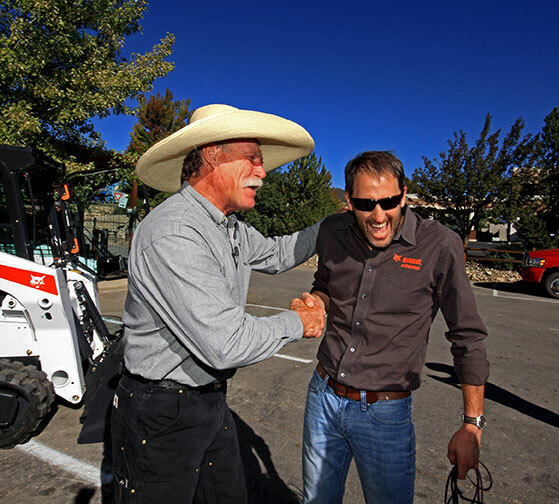 The Bobcat Co. gave away a special edition 1-millionth T650 compact track loader to a customer as the result of its “Unstoppable” campaign and Million Loaders Celebration contest. Steven Klumker, of Mancos, Colo., visited the Bobcat of Durango equipment dealership, located in Durango, Colo., thinking he was being interviewed as a finalist for the contest. Instead, he was given the grand prize. Klumker has used a variety of Bobcat skid-steer loaders, compact track loaders, compact excavators and attachments in countless applications, from a $300 million desert resort and golf club to a 36-year-long, five-phase housing development project. His work has included building lagoons and swimming pools, backfilling utility trenches and landscaping and tree planting across California, Nevada, Arizona, Colorado, Utah and New Mexico. For more than 40 years, the Klumkers have been customers of Bobcat of Durango and Bingham Equipment in Phoenix. The contest’s second prize went to Troy Hieb of Newcastle, Wyo., who received $1,000 in merchandise credit to spend at any authorized Bobcat dealer location. Hieb, a lieutenant with the Newcastle Volunteer Fire Department, currently owns a Bobcat T180 compact track loader, which he’s used to help move debris during a home fire.